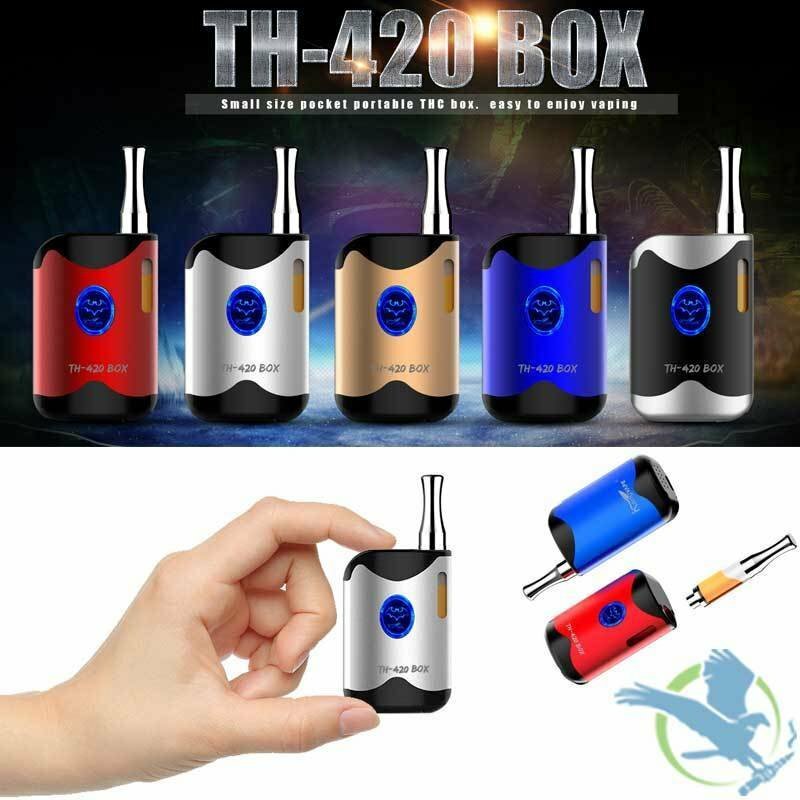 The TH-420 has unique and special design and features adjustable working voltage: 3.4V-3.7V-4.0V. Different colored light indicate current battery power. This device has beautiful smooth surface that rest comfortably in your hand while being very small and convenient in size. The atomizer is smartly inserted and locked in the box by a magnetic connector. Be sure to pick up your TH-420 Today!